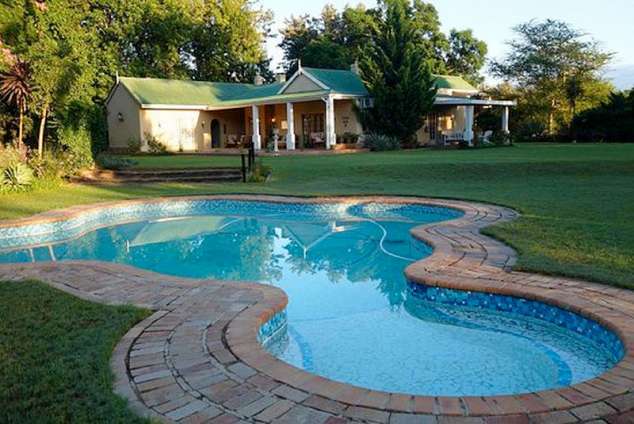 Hopefield Country House - Sunland Accommodation. Situated in the heart of the Sundays River Valley, close to Port Elizabeth and a stones throw from the world famous Addo Elephant National Park, you’ll find a haven of comfort and luxury. Offering superior service with unashamed flair, Hopefield Country House is the ideal spot for a quiet weekend away or as your home base when you explore the natural beauty of the Eastern Cape. Experiencing Africa is easy in Addo. You can ride or walk with elephants at Addo Elephant Back Safaris - have close encounters with members of the BIG 5 in the Addo Elephant National Park - visit some of the Eastern Cape’s wonderful private game reserves or even experience canoe trips or ferry rides on the beautiful Sundays River - and this is but the tip of the iceberg! from the magnificent Addo Elephant to the humble Dung Beatle the Greater Addo Area abounds with nature’s splendour. Horse riding, hiking trails and 4X4 routes are situated in close proximity and expert guides can be arranged to personalize your excursions. Your schedule can be as relaxed or as active as you want it to be! Spend a relaxing day sunbathing by the swimming pool or take a leisurely stroll through the citrus orchards on the farm. Wander around in our garden where surprises lurk behind every corner. Various species of bird make their home here and fascinating hours can be spent watching their behaviour. The rose garden boasts more than 50 rose varieties, continuously providing an array of colour from spring to autumn. Scrumptious breakfasts and mouth-watering dinners will ensure that your stay at Hopefield Country House remains a highlight of your holiday or business trip. The homestead offers spacious areas in which to relax whilst listening to the sounds of everyday country living or the relaxing sounds of classical music. You might even want to borrow a must-read novel from the library to enjoy during your stay. Wi-Fi internet access is available through-out. Nine, individually decorated, en suite bedrooms will envelope you in luxury. Crisp percale linen on our king, queen or twin single beds will ensure a peaceful nights sleep. Bedrooms are spacious and equipped with air-conditioning, Satellite TV, personal safe, bar-fridge, CD player and radio, coffee and tea facilities as well as all bathroom amenities to ensure your stay is comfortable and care-free. A limited laundry service is also offered. Rooms have private entrances that lead onto spacious verandas with wonderful views of our gardens and swimming pool. Breakfast at Hopefield is a hearty affair. A buffet choice of fresh seasonal fruit, cold meats, cheeses, muesli & cereals together with freshly baked pastries and breads complement our traditional cooked breakfast. In season freshly squeezed orange juice from our orchards will crisply start your day. Add a steaming cup of filter coffee or tea and you are ready for your adventures in Addo. After an active day, nothing beats sitting down to a leisurely dinner with stimulating conversation, great food and lovely South African wine, reflecting on the excitement of the day.Light Meals At Hopefield we take care to use fresh local ingredients to create a dining experience that leaves you satisfied and relaxed. Being a reflection of rural hospitality our approach to food is unpretentious and passionate. Our three course set menu changes daily and we can cater for most dietary preferences and / or food allergies if we have some advance notice. Hopefield Country House has a fully licensed bar with a variety of cold drinks, alcoholic beverages and estate wines. Regret - no children under 12. When confirming your reservation please advise at your earliest convenience regarding dinner arrangements and special dietary requirements. Reservations are essential. Last minute and specials offers (3 night stays and longer) are available contact us to inquire about custom-made packages including dinner, safaris and other activities. 239 page views since 02 Jul, 2018.